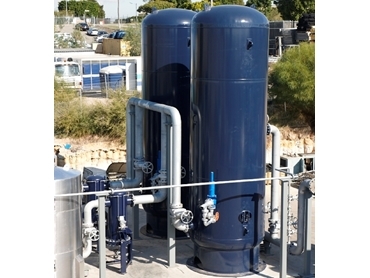 CAPS can custom-build pressure vessels and process vessels for mining and industrial applications. 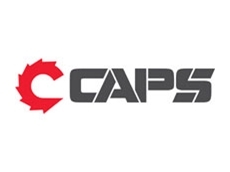 CAPS can economically custom design and project manage the supply of single or much larger volume production runs (in the many hundreds). 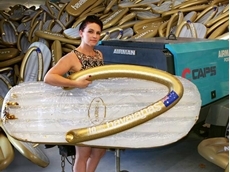 We carry out all the vessel engineering on behalf of our clients to provide fully documented Australian Design Registrations from our library of existing designs, or specifically for a client given design needs. 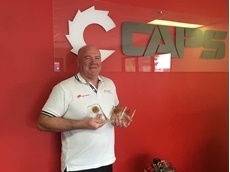 CAPS designs are compliant with the requirements of all state based design and plant registration authorities, including all states WorkSafe OHS requirements or Department of Mines and Petroleum (DMP) Regulations in WA. 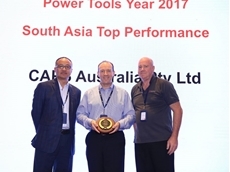 CAPS also works with independent third party design and QA inspection bodies such as ICD, Bereau Veritas or LRQA both locally and internationally where required. We are familiar with AS1200, AS1210, AS3920, AS 3788, AS4037, AS4458, AS4343, AS3992, AS2791, ASME VIII, ASME IX, EN286-1 and many other national and international standards. 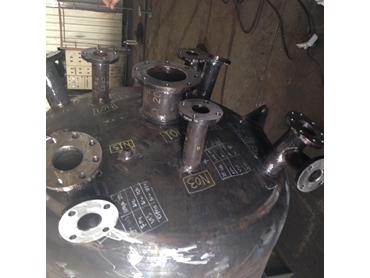 CAPS can design, verify, certify and supply PRESSURE VESSELS and PROCESS VESSELS to codes AS1210:2010 all classes; ASME VIII Div.1 (including U-Stamp) and EN286-1. 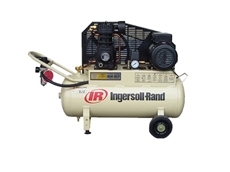 Designed specifically for use in industrial compressed air systems, all of our air receivers are very competitively priced and come complete with a Manufacturer’s Data Report, in accordance with Australian Standard AS4458, and OH&S registered design approval for workplace use in all Australian states and territories. 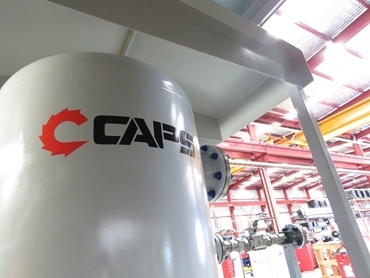 CAPS has also established a solid reputation for designing and supplying custom-build pressure vessels and process vessels for mining and industrial applications. 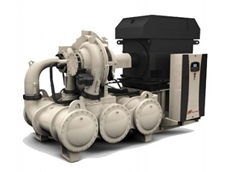 Vessel volumes can range from 10 litres to 50,000 litres and design pressures can range from Full Vacuum, up to 5,000 kPa or even higher. 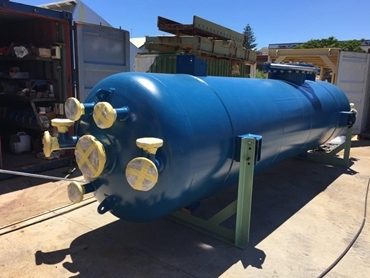 We have an established library of over 500 registered pressure vessels designs, however, new code compliant designs can be quickly engineered to client requirements and specifications. 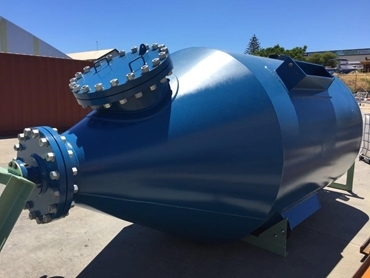 CAPS can design your vessel for any given cyclone wind loading or seismic conditions and provide fully documented supporting calculations for critical applications. When it comes to protecting your vessel, CAPS offer internal and external surface protection systems; from simple low-cost primer and enamel, to powder coating or to two-pack epoxy coating systems. We accommodate project specific advanced painting/coating system involving 2, 3 or more coats with fully documented painting QA documentation for in process and final DFT results. 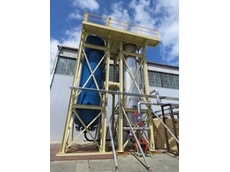 Surface preparation includes power tool abrasion or sandblasting to a specific class to meet the exact requirements of a coating system. Not sure what you need? Seeking more information? Our team of experts are happy to assist! 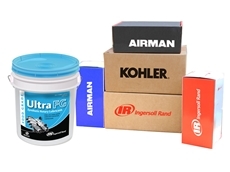 We can manufacture any of our products to suit even the strictest requirements. Call us on the number provided or email us using the form. 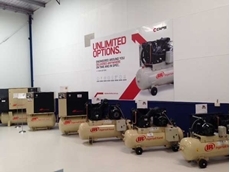 30/11/17 - Caps Australia announces the expansion of their air treatment solutions with the inclusion of custom-engineered pressure vessels and process vessels.